The Triad’s two research parks are booming, bringing in private companies and creating new jobs, according to panelists speaking Tuesday at the Winston-Salem Chamber’s Technology and Innovation Series, held at Wake Forest Biotech Place in the Piedmont Triad Research Park (PTRP). Item: The Joint School of Nanotechnology and Nanoengineering at the Gateway University Research Park in Greensboro, which moved into its new building in December, is already running out of space with more students enrolled than expected, according to John Merrill, executive director of the park. The school and Gateway’s two campuses are joint projects of N.C. A&T State University and the University of North Carolina at Greensboro. Item: Wake Forest University School of Medicine, which moved into Biotech Place in renovated R.J. Reynolds buildings in the PTRP earlier this year, is planning to use three more Reynolds buildings nearby, one for the Division of Public Health Sciences, according to Dr. Edward Abraham, dean. 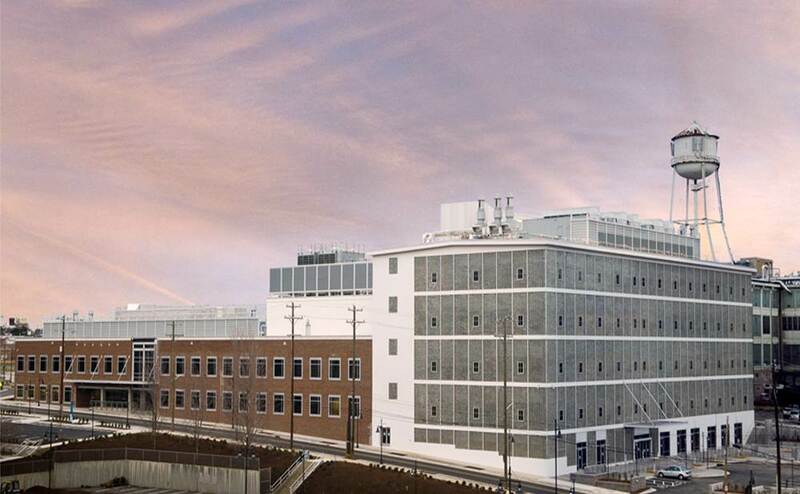 Item: Carolina Liquid Chemistries, which looked at a wet lab launch pad in PTRP and moved in the next day, now has moved its headquarters – and 25 employees – to Biotech Place, said President Phil Shugart. The company makes automated blood chemistry analyzers. One can conduct up to 40 tests from one sample. The company has a number of machines in development, some aimed at physician offices, some at small hospitals, some at commercial labs. They also are developing a toxicology system that will detect 22 drugs of abuse. Nancy Johnston, executive director of the Piedmont Triad office of the N.C. Biotechnology Center, said “One of our goals is to grow jobs,” and one of the ways they do that is helping to commercialize new technologies developed at the research parks. The schools have been concerned about the time that start-up companies spend raising money to keep going. Abraham said Wake Forest is developing an “accelerator” so the companies can focus on technology development rather than raising money. Now, most inventions are commercialized through licensing to other companies, which often means the innovation, and the jobs it creates, go elsewhere. With the accelerator, it is hoped that most new jobs will stay in Winston-Salem, he said. Students always look for someone to write their papers. All those people who are worried about writing their assignments and term papers, its time to ask online writers to write my essay smartcustomwriting.net who are available at all time for your help and at low cost. Spot on with this write-up, I truly believe that this amazing site needs much more attention. I’ll probably be returning to read more, thanks for the info!Camtec Electrical – electrical services in Perth! We can utilize the advantages of technology for expanding our business circle. Ability vintage stores to identify the best technology resources for your development in business which is the most important skill required for business men. I want you to thank for your time of this wonderful read!!! I definately enjoy every Second home little bit of it and I have you bookmarked to check out new stuff of your blog a must read blog! We can utilize the advantages of technology for expanding our mortgage brokers toronto business circle. Ability vintage stores to identify the best technology resources for your development in business which is the most important skill required for business men. good default discrimination attorney customization. There is so much in this article that I would never have thought of on my own. Your Indian Movie content gives readers things to think about in an interesting way. Thank you for your clear information.